The long-awaited Android 4.2.2 update for the HTC One has finally been approved and is arriving on unlocked units in Taiwan as of this morning. The update is massive, weighing in a 465MB, but that’s to be expected since it includes an extensive list of new features and tweaks. We should point out that HTC has yet to officially announce anything, including global availability. Can’t be long though, right? In the update, we’re seeing greatly improved notification controls, an entire Quick settings panel, rearranged widget panel, new lock screen option, “enhanced” Home button behavior (including the option to set as Menu), battery status level in status bar, six new Highlights themes, other camera improvements, and more. 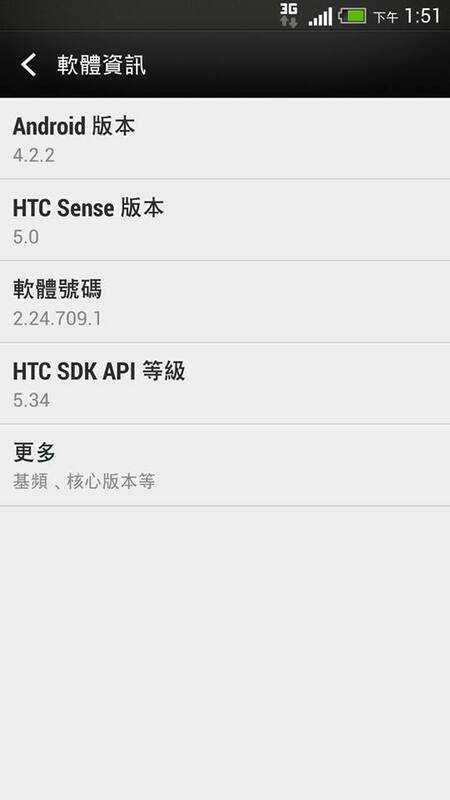 The jump from 4.1 to 4.2.2 may not be all that significant on paper, but HTC is doing more because they are also improving Sense 5.0. Again, no word on when the developer or other unlocked units will see the update, but we’re assuming it’ll be fairly soon. We’ve got a download link to the file below, however, you need to do the research to decide if your phone can use it. We’ve linked to two ongoing XDA threads that have all sorts of discussions.